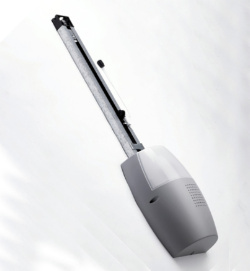 BFT Garage Door Kits For Automatic Electric Garage Doors. BFT EOS and Botticelli Garage Door Automation Kits. Botticelli and EOS are the reliable noisless operators for sectional doors or spring-operated overhead doors. Maximum safety guaranteed: The antisquash system which inverts the direction in case of obstacles in opening and closing. 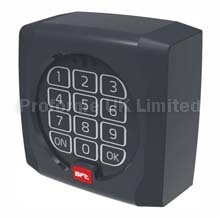 Automatic limit switches: Regulate the door end-of-run phases on opening and closing. Simple and fast to install: It is supplied with all the components already assembled and in working order, as well as self-regulation procedures. Continuous service: Guaranteed by a back up battery kit CB EOS (optional). Versions available: With chain and belt drive. Download EOS PDF File. Here. Download Motor Fitting Instructions Here.